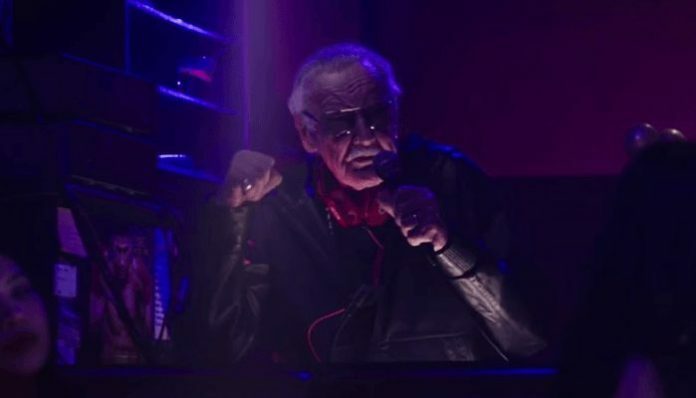 Stan Lee’s cameos aren’t done yet. The comic book world (and beyond) is still mourning Stan Lee who passed away early Monday morning at Cedars-Sinai Medical Center in Los Angeles. However, it appears “Dapper Dog Walker” in Venom won’t be his final cameo appearance. Lee was best known as a writer, editor and publisher of Marvel Comics. He got his start in the comics business in 1939 having created and co-created several well-known titles including Black Panther, Spider-Man, X-Men, The Mighty Thor, Iron Man, The Fantastic Four, The Incredible Hulk, Daredevil and Ant-Man. In addition to his writing, Lee was also known for his plethora of cameos in the Marvel film adaptations. This year alone, Lee appeared in Venom, Ant-Man And The Wasp, Avengers: Infinity War and Black Panther. With films announced through 2020, many wondered which one would mark Lee’s final cameo appearance. According to Screen Rant, Marvel Studios had been filming several of his scenes at once. Lee’s agent and director Joe Russo have both confirmed Lee filmed scenes through the still untitled Avengers 4. This means Lee will appear in Captain Marvel and Avengers 4. It’s still unknown if Lee will appear in Spider-Man: Far From Home, which hits theaters after Avengers 4. If not, it will mark the first Marvel film without him. If Avengers 4 is Lee’s final Marvel Studios film, it would be quite fitting as it marks the end of Marvel’s Phase Three. It’s also Chris Evans final turn as Captain America. Other studios producing films based on Lee’s characters confirmed whether or not he’ll appear in their films. Fox confirmed they didn’t film a cameo for Dark Phoenix and it’s been confirmed his voice will appear in Ralph Breaks The Internet. Captain Marvel hits theaters March 8, 2019 and the untitled Avengers 4 arrives May 3, 2019.